Regular visits to the dentist are just as important to your child’s health as a trip to the doctor’s. With regular visits, your child will be instilled with the knowledge that frequent brushing is vital to gleaming teeth and perfect gums. We are proud to be part of the national Childsmile program. Good oral health in childhood means healthy teeth and gums throughout life. Childsmile is working to ensure all children, regardless of income or background, have the best possible start. 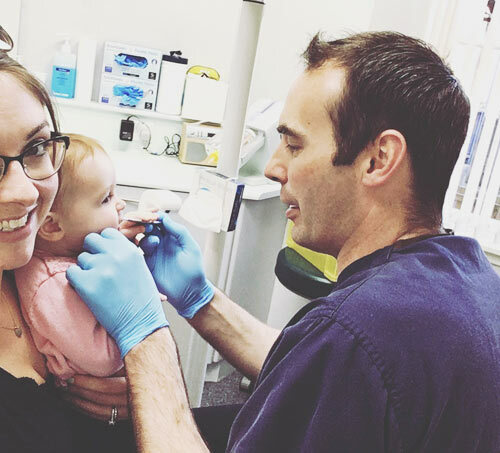 At Woodside Crescent Dental Practice, you will be given advice and support from the dental team, who will show you how you can help your child keep healthy teeth and stop them suffering tooth decay in the future. Regular visits will also help your child to become familiar with being examined by a dentist. From the age of 2, our team can provide additional preventive care, such as fluoride varnish and fissure sealants. We’ll be with you every step of the way to ensure that your child receives the best treatment and advice. To find out more about our child-friendly approach to dentistry, or to book an appointment, please get in touch. To find out more about our child-friendly approach to dentistry or to book an appointment, please click here to get in touch.